Rush poker is a game, no matter what the variation, unto itself and it has its own nuances. Most importantly it takes a certain amount of discipline in that because you see that many more hands you can upgrade your starting hands. I mean if you fold a semi-playable marginal hand you’re not waiting for the next hand, you’re already in it. So you can see folding marginal playing hands is a key, but do you have the discipline. Also, there’s a separate skill in reading players. When you’re at a normal ring game you can get to know your opponents fairly quickly, exploit their weaknesses. In Rush Poker, you don’t get to sit with the same players. So instead of trying to read the 6 or 9 players at your table, you have to remember the play of multiple players that you run across the games, you can at some point actually play against every player in the tournament. This is where the SharkScope HUD would be a great tool and put you miles ahead of anyone not using a HUD! One advantage for you live players, Rush makes it some much easier to attain deposit bonuses and points races etc. Please take a look at the Sharkscope leaderboards, find out who’s doing what and if you’re one of the leaders. In honor of their new upgrade, there’s a new SharkScope Bonus! Go to the Facebook Sharkscope page, like the page and there will be a bonus code to get 20% of your new subscription or an upgrade, but you must got the code from the RealSharkScope page on FaceBook. The code will be good till the end of the month so there’s no RUSH lol!! Time to give the world access to Mark Schmid, also known in the online world as “pimpindonks”, who has developed a series of videos that teach you how to crush SNGs. This is SharkScope’s newest addition, The SNG Guide. As a visitor to our site you’ll get a chance to see the first 2 minutes of any video presented, however if you want to see the whole video (and you need to because this stuff is so powerful) you need to be a GOLD subscriber! Mark has been playing poker professionally for more than 5 years. He has a simple calculated style and an approach to the game that leads to steady long-term wins, exceeding 6 figures annually. 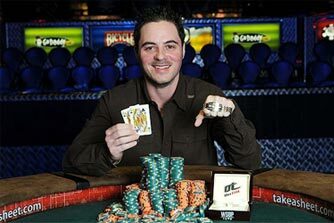 Mark has successfully coached several players to understand and use his simple, yet often overlooked, poker techniques. Mark created this guide as a replacement for private coaching so he can reach a larger amount ofstudents with the same advice that has made his previous students richer, at a fraction of his hourly cost. We’ve just added an additional 4 player statistics statistics that will help you determine how hot or cold you are running and how hot or cold it is possible to run. 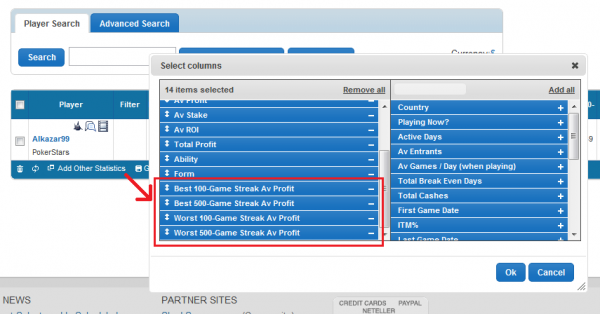 The “Best” statistics will go through all your results in date order and look for the highest average profit made in a 100 or 500 consecutive game sequence. Likewise the “Worst” statistics look for the least profit made in a sequence.